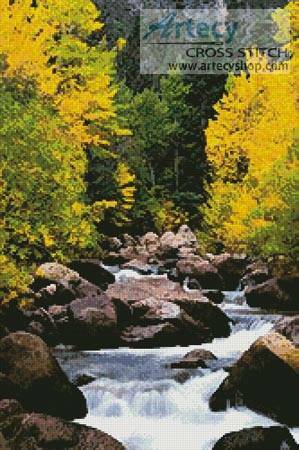 Carson River cross stitch pattern... This counted cross stitch pattern of Carson River, Markleeville, CA is based on a photograph copyright of Rachid Dahnoun/Aurora Photos - Alamy. Only full cross stitches are used in this pattern.